Eye safety can be easily overlooked, sometimes to our own detriment and a lifetime of regret. Imagine that yesterday you could see perfectly well, but after an accident, today you're only partially sighted — to the extent that you can no longer drive or read. Your life has changed dramatically, never to be the same again. Now imagine that you could have prevented all of this simply by wearing safety glasses or observing other eye safety rules. 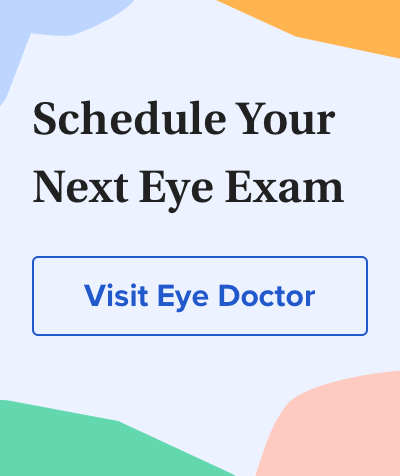 According to Prevent Blindness America (PBA), an estimated 2.4 million eye injuries occur in the United States each year, and nearly 1 million Americans have lost some degree of eyesight from an eye injury. Yet experts say wearing safety glasses and taking other common-sense precautions can prevent or reduce the severity of more than 90 percent of these eye injuries. "Eye Safety At-a-Glance" has a list of recommended eyewear for various occupations, a comparison of safety lens materials and dos and don'ts of emergency eye care at work. From The Vision Council, with the American Society of Safety Engineers. Had a product-related eye injury? The U.S. Consumer Product Safety Commission has a website where you can submit reports of harm or risks of harm related to products. The site also lets you search for such reports, as well as product recalls. Falls, bumping into walls, etc. In most cases, simple precautions can help you prevent eye injuries at work, home and play. Avoid distractions when doing anything that could potentially harm your eyes. Resist the temptation to "multi-task" when working with tools or other objects near your eyes. And always wear safety glasses, protective goggles or other sports eyewear for greater eye safety when the situation calls for it. If you suffer any eye injury, contact your optometrist or ophthalmologist immediately for advice. Depending on the situation, your eye doctor may want you to flush your eye with water or saline solution prior to your office visit. Or he or she may recommend you immediately go to the hospital emergency room. If you wear contact lenses, tell the doctor, who will advise you about whether to remove them or leave them in. If you work with chemicals, your workplace should have a sink area where you can flush your eyes with water if a chemical splashes or otherwise invades your eyes. Flush your eyes for several minutes to dilute and rinse out any chemicals that may have contacted your eyes. When in doubt, treat all eye injuries as potential emergencies, and contact or visit an eye doctor immediately if you have urgent eye safety concerns. Remember, you have only one pair of eyes. Take good care of them! To protect your eyes from harm, always wear safety glasses when involved in potentially risky activities, including sports. Choose eyewear with safety-rated, impact-resistant polycarbonate lenses. Also, make sure the frame is safety-rated as well. If you're doing work outdoors or are frequently in and out of the sun, consider safety-rated photochromic lenses. These lenses are clear indoors and automatically darken in sunlight and are available in polycarbonate. Read more about safety glasses and protective sports eyewear. In these CPSC demonstrations, dummies were used to show how injuries have occurred from a bottle rocket hitting a boy's eye and other possible firework injuries. June 2018 — Fireworks are a common accessory to many celebrations, especially around the Fourth of July holiday. What may seem like fun, entertaining rockets and sparklers can lead to serious injury, especially to the eyes, head, face, ears and hands. In addition to all the injuries caused by fireworks, at least eight people actually died from firework-related incidents in 2017, according to the latest report by the U.S. Consumer Product Safety Commission (CPSC). Five of the fatalities were related to reloadable aerial devices, while one was related to manufacturing of homemade devices. Fireworks were involved in an estimated 12,900 injuries treated in U.S. hospital emergency departments last year. 67 percent of injuries occured during a one-month interval surrounding the 4th of July. 36 percent of the injuries were to children younger than 15 years of age. 14 percent of injuries were to eyes. To demonstrate how fireworks can cause tragedy if not properly used and supervised, the CPSC has staged several scenarios where humans have been hurt by fireworks. Three photos of potential eye health disasters caused by fireworks are shown in our slideshow here (please click on the images for close-ups). For more information, including tips on preventing injuries, you can download the CPSC's fireworks report. — N.B.